"... something was wrong. Imari was gradually losing weight... She began to lie down to sleep, more and more. Finally she was lying down three times to sleep, on bad days. "... her skin was ridged with scars, and in between the folds was heavily infected.. I mixed eight ounces of shampoo, which I applied dry... after ten minutes in Equinell ™ water no longer caused pain, and Imari let me rinse her. Two months into treatment, I walked towards her with a halter and lead. Giggling wickedly, she thundered out of the barn... She galloped down the field, kicking up her heels. In fifty years of handling horses, that has happened many, many times, but I have never enjoyed it before." I had a couple of vials of Charlie's formula in the car... Would it be worth trying? I painted his feet, and left a couple of vials to use in the next few days. They weren't needed. Four days later his feet were non tender, dry, and they seemed to give him no problem when he was under saddle." "About the third week, I came in to find one of the horses cross tied, owner in tears. They had tried everything they knew to try, and he was still lame. He had black, smelly drainage running from his frogs, and had been developing a surly attitude for a few weeks... I had a couple of vials of Charlie's formula in the car... Would it be worth trying? I painted his feet, and left a couple of vials to use in the next few days. They weren't needed. Four days later his feet were non tender, dry, and they seemed to give him no problem when he was under saddle." Imari, my older Gypsy Vanner mare, was nearing the end of her life. She would lay down in her pasture and rest several times daily. She was not sound. Her weight was decreasing, even with extra grain and fat supplements. Her death was near, and inevitable, or so I thought. Until Marlene Boegli came into her life with the "miracle." After Marlene began treating Imari, it was as if she had been given a dip in the fountain of youth. Her lay down maps decreased to one every few days. Her weight increased. Her attitude went from depressed to sassy. She is sound and cantering for fun. I had no idea that Imari's skin was making her so miserable, and ill. Now that I am aware of the problem, and the solution, I am a lifelong customer. I would recommend this product to anyone, especially Gypsy or feathered horse owners, or anyone who owns a horse with skin issues, such a rain rot. Etania had thrush with abcesses. 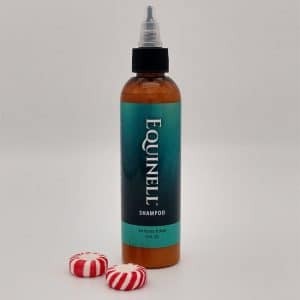 Since the Equinell™ hoof oil treatments we've had no other abcess issues and is no longer tender when I pick his feet. Before Equinell™, Royal Divina's feet would not grow normally & were soft. 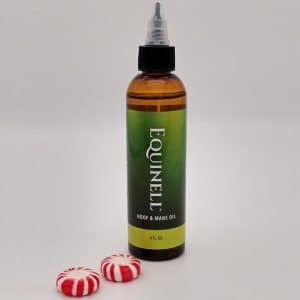 After using Equinell™ her foot growth accelerated & her feet grew in stronger, without hoof chipping. I just sent some photos of Toby. I will send more current ones in the next day or two. I need to run over and snap them. His feathers are growing back wonderfully...even stranger...the "claw" on his ergot broke off on one of his back feet. The other one on his back foot is cracked and probably close to coming off. I'm pretty sure as I continue to treat him they will keep coming off. It blows my mind. He is so much more comfortable now. I have him on supplements to speed up the hair growth too. His mustache is even coming back! 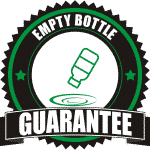 I only hope we can get a lifetime supply! I don't think I can live without it now. Three days later we were delighted to find a much happier horse..."